We provide Ottawa residential roofing, flat roofing, commercial roofing, re-roofing, snow and ice removal, and roof-repairs. Campbell Roofing Inc. is a family business that was started in 1983 by Ray and Donna Campbell. Since then, Campbell Roofing Inc. is one of the most reputable roofing companies servicing Ottawa, Metcalfe and the surrounding areas. Proud member of the BBB accredited service , achieving a A+ service rating. Family run business and a business built on service providing proactive solutions to our customers to ensure 100% satisfaction. Dedicated to providing our services are delivered with a positive attitude, buy professionals who take pride in their work. Only using the best materials to provide quality, durability and value to our clients. Specializing in: architectural shingles, enviroshake, Wakefield bridge metal, flat roofing (torch on membrane). Certified CRC RoofPRO™ Professional Roofing Contractor. Our commitment is to our clients, and customer service. 10 year warranty on the workmanship! We are proud that our business is accredited by the Better Business Bureau with an A+ rating. 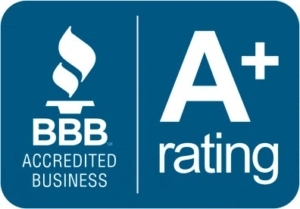 Our operation at Campbell Roofing is officially licensed with the BBB in the area, meaning our team at Campbell Roofing handles any complaints with the highest level of honesty and efficiency. On top of that, you can put all your faith in our services with our 10 year warranty guarantee. We are proud of our high standards, our quality materials and excellent workers. When it comes to your home, we’ve got you covered! At Campbell Roofing, our experienced roofing experts are trained to provide manufacturer-specific installation. We know how to properly combine different building materials and brands in accordance with all warranty requirements, to ensure that your new roof will protect your home for years to come. Some of our preferred roofing manufacturers can be found below. Campbell Roofing serves Ottawa, Nepean, Kanata, Stittsville, Orleans, Barrhaven, Richmond, Greely, Metcalfe, and many other surrounding areas.